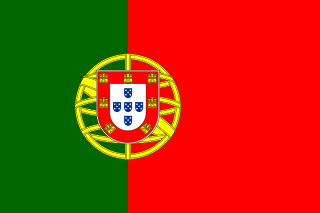 The Order of Merit is a Portuguese Honorific Order of civil merit intended to award those responsible for meritorious acts or services performed in the exercise of any functions, both in the public and the private sphere, which reveal self-sacrifice in favor of the community. The decorations are given by the President of the Portuguese Republic, in his role as the Grand-Master of the Portuguese Honorific Orders. 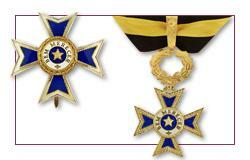 The Order of Merit can be awarded, during life or posthumously, to both Portuguese and foreign citizens; it can also be awarded to localities or institutions that are legal persons governed by public law or of public utility. This order has been awarded to a number of people performing the most diverse functions such as ambassadors, businesspeople, military personnel, athletes and musicians. Megan Spencer is an Australian documentary film maker who specializes in the 'guerrilla video' style of documentary portraiture. Based in Bendigo, she is also a prominent film critic, journalist and radio presenter. Andrew Mwenda is a Ugandan print, radio and television journalist, and the founder and owner of The Independent, a current affairs newsmagazine. He was previously the political editor of The Daily Monitor, a Ugandan daily newspaper, and was the presenter of Andrew Mwenda Live on KFM Radio in Kampala, Uganda's capital city. Roger East was an Australian journalist who was murdered by the Indonesian military during its invasion of East Timor in 1975. Christopher William Dell is a career United States Foreign Service officer who is currently serving as the Deputy to the Commander for Civil-Military Activity, U.S. Africa Command since 2012. Before his current assignment Ambassador Dell served as the U.S. Ambassador to the Republic of Kosovo, after having also been posted to Angola and Zimbabwe. Hunter Ellis is an American military veteran and television personality. Joe Morgenstern is an American film critic and journalist, currently writing for The Wall Street Journal. He has won a Pulitzer Prize for Criticism. Drake Sather was an American stand-up comedian, an Emmy nominated television writer, and a producer, actor, and director. His credits include the film Zoolander (2001), and the TV series Dennis Miller Show, Ed, Mr. Ed, The Larry Sanders Show, NewsRadio, and Saturday Night Live. Dr. Bruce Hensel is an 11 time Emmy award-winning former Chief Medical Correspondent for KNBC. 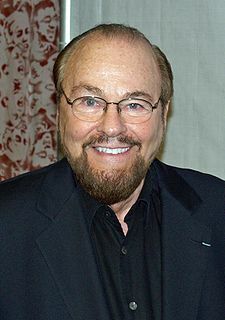 He is also currently a producer, writer, director, journalist, and physician. He had previously acted in Death Wish 4: The Crackdown and the 1980s TV soap opera Capitol. Ina Fried, formerly Ian Fried, is an American journalist for Axios. Prior to that, she was senior editor for All Things Digital, a senior staff writer for CNET Network's News.com, and worked for Re/code. She is a frequent commenter on technology news on National Public Radio, local television news and for other print and broadcast outlets. Roger Schawinski is a Swiss journalist and entrepreneur as well as the creator of Swiss consumer watchdog program Kassensturz. George Ian Kenneth "Kenny" Ireland was a Scottish actor and theatre director. Ireland was best known to television viewers for his role in Victoria Wood As Seen on TV in the 1980s, and for playing Donald Stewart in Benidorm from 2007 until his death in 2014. Véronique Cloutier is a popular French Canadian TV and radio personality. She is the daughter of producer Guy Cloutier and the sister of Stéphanie Cloutier. She has hosted various programs on Radio-Canada, including La Fureur, Véro and Paquet Voleur. Her daily show Le Véro Show on Rythme FM is one of the most popular Quebec radio programs. Oliver Dimsdale is an English actor, known for portraying Louis Trevelyan in the BBC TV serial He Knew He Was Right. Joaquim Furtado is a Portuguese journalist, reporter, television anchor and documentary film director. He worked during almost all his entire career for state-run RTP television network, including in RTP 2 for many years. Jan Lipšanský is a Czech journalist, screenplay writer, writer and stage director.